New Android and iOS Skype apps, that will allow screen sharing, are reportedly being tested. If everything goes according to the plan, it will be a remarkable update. Imagine preparing a lecture with your friend by sharing PowerPoint presentations on your phone, or doing online shopping with them. All of this will be made possible with this new update. 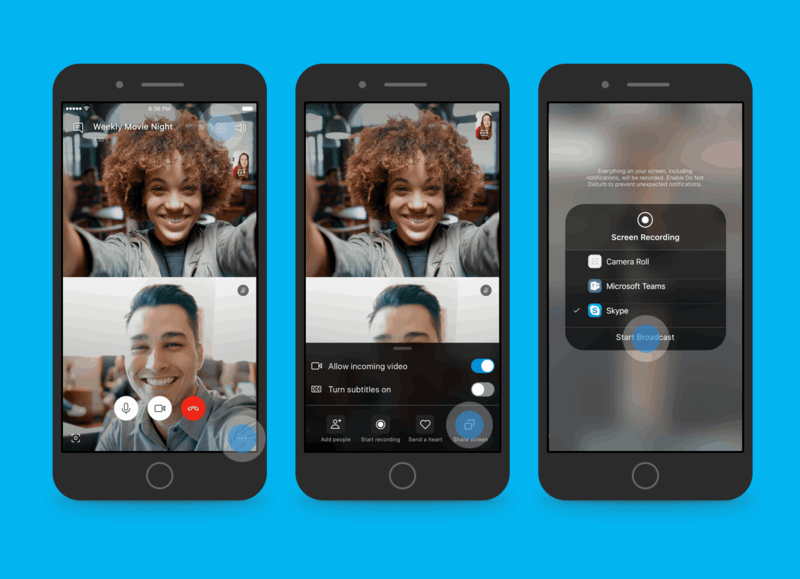 It will also be a smart business move for Skype as it will get the attention of well-established businesses too, which currently use apps like GoTo Meeting and Zoom for screen sharing. As of now, the update is available only on the Beta Version, and you can sign up for beta access as well to test the update out. Although it was announced that Screen Sharing would be enabled on iOS and Android beta, it looks like it would take a little more time for it to be enabled on the former (iOS beta). It remains yet to be seen when Microsoft plans on making this feature available to all mobile Skype users, but there’s a strong possibility that it will not keep you waiting for much longer, considering how the 50 video chat participant feature was made public after being tested in beta for less than 30 days. Related: Google is Introducing new Commands to Filter Results Based on Specified Dates! Read next: From Windows to Mac – Microsoft Defender is here, there and everywhere!